Jonathan Edwards (1703-58), noted theologian and religious leader of 18th-century New England, left his impression on theological thinking not only in this country but throughout the entire Protestant world. Not since 1874, however, has a collected edition of his works been printed. This edition, undertaken with the generous support of the Bollingen Foundation, has been launched with the purpose not only of republishing all of the printed works of Edwards but also of publishing the massive manuscript materials in which much of Edwards' most profound thinking and finest prose have been concealed. 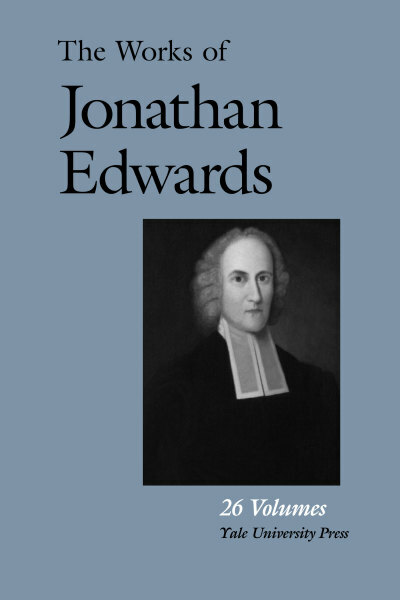 "The Jonathan Edwards Project is the first of its kind — a comprehensive, exhaustive effort to produce an online archive of all of Edwards' sermons, treatises, letters and musings to serve the needs of anyone who cares to know the man. To date, no other university or institute has attempted to transcribe, computerize and then post online the complete works of any one historical figure. . . . Though he may never attain the rock-star status of George Washington, with the Yale project, Edwards will live forever." Click the links below to read more about each individual volume in the extensive collection. Wilson H. Kimnach is Presidential Professor in the Humanities at the University of Bridgeport. He has been associated with the Editorial Committee of The Works of Jonathan Edwards, based at Yale University, for more than twenty years.